This Elevation dress is 10 months old and sadly out grown. 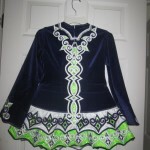 Dress is deep purple velvet with lime green and white. It has hundreds of Swarovski crystals. 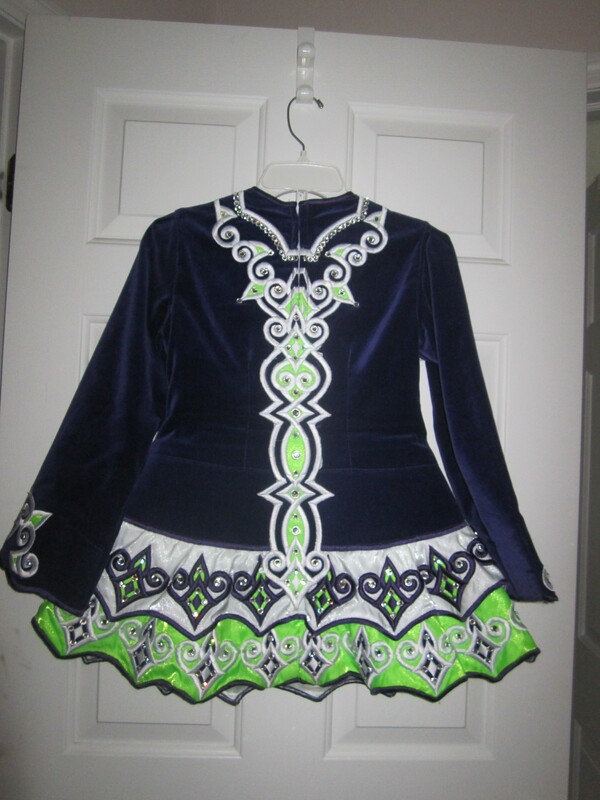 The dress has not been altered and is in excellent condition. This dress comes from a smoke free home. Bloomers and 2 headbands included. 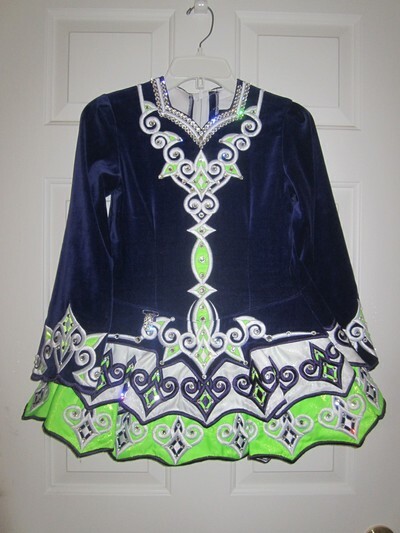 Can arrange for it to be at most NJ, PA Feiseanna to try on.